We welcome your donation towards our annual campaign in connection with our 20th year of serving families and individuals with autism! Currently Spectrum serves well over 1,500 families in Gwinnett County and the surrounding Metro Atlanta area and has become a well-known resource in the autism community. We cannot do what we do without financial support and your donation will go a long way towards helping our community and all the families we serve. Spectrum is a not-for-profit, tax-exempt 501(c)(3) organization, and all donations are tax deductible. We welcome your generous donations to help support our summer camp and education programs, raise autism awareness and contribute to the overall success of individuals with autism in our community. Community contributions and memorial donations are greatly appreciated. Spectrum is a not-for-profit, tax-exempt 501(c)(3) organization, and all donations are tax deductible. More ways that you can support Spectrum! You can help support Spectrum just by doing your everyday grocery shopping through the Kroger Community Rewards Program! 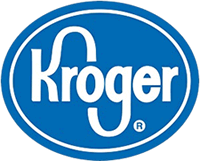 To start earning money for Spectrum, all you have to do is link your Kroger Rewards card to Spectrum - it's that easy! *Note that you need to renew your rewards program every August to continue donations to your designated charity. You can support Spectrum through your company's United Way campaign. All you have to do is write Spectrum Autism Support Group on the optional designated contribution section and fill in Spectrum's address: PO Box 3132, Suwanee, GA 30024. 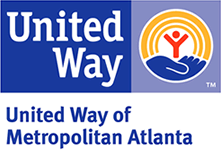 Make a copy of the completed form for your records and submit it to your company's United Way representative. If your company has provided you with a digital United Way link, look for the link that says "local area partner" (or similar language) which will bring up a search box. You can then search for Spectrum and choose us that way. Train 4 Autism is a foundation dedicated to bringing together a community of athletes, physically active, and socially conscious people who are committed to raising awareness and funds for research and treatment for those living with autism and their families. Fund raising and volunteer opportunities for individual athletes, teams and entire families include marathons, half marathons, 10Ks, 5Ks, walks, triathlons, swimming, and cycling events. Train 4 Autism is a nonprofit, 501(c)(3) organization founded by parents and families of children touched by Autism. If you are participating in an event with Train 4 Autism, you can designate SPECTRUM as your preferred charity! Did you know you can designate Spectrum through the Amazon Smile program. Simply go to smile.amazon.com and choose S P E C T R U M (all upper case with spaces in between) as your preferred 501(c)3 charity. Spectrum will now receive a percentage of your online purchase! Thank you for your support of Spectrum! Copy Paper, Playdough, shape cutters, puzzles, scissors for children, glue sticks, craft supplies, snacks for camper and staff (for 100/week), projector, little characters like animals, cars, super heroes, Lego, hand sanitizer, Bean bags, family size blow up pools, mini trampolines, crayons, markers , glitter, portable projector screen, digital cameras(for technology program), gift cards, Bean bag chairs, Bean bag refills, and water and snacks for 50 for our monthly support group meetings. Contact Claire@atl-spectrum.com for more info! Thank you!